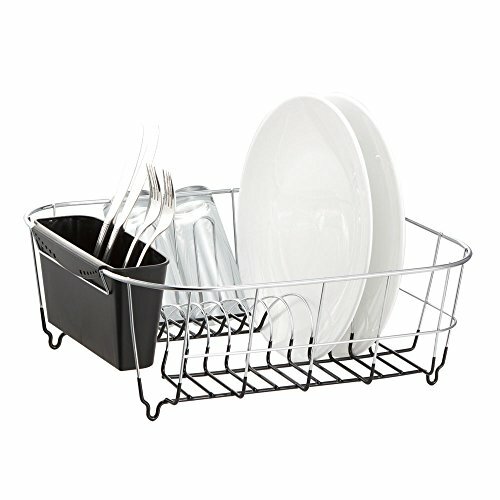 The deluxe chrome-plated steel small dish rack has been streamlined to fit perfectly on the kitchen counter or in the sink. 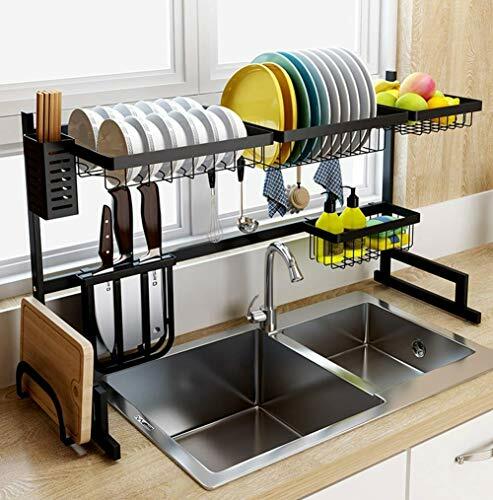 The dish rack can also be used in the sink to completely free up counter space. 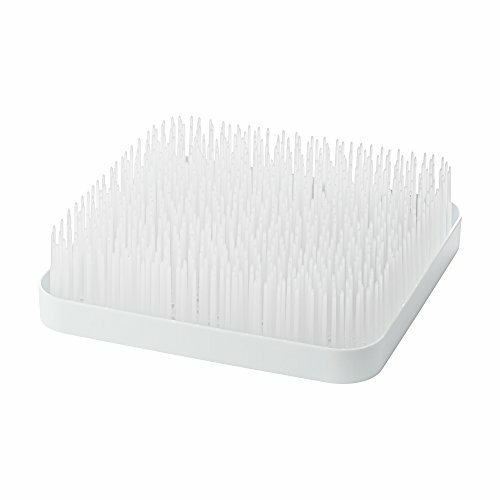 SPACE SAVER - This dish drying rack expands for use on the counter, in the sink or over the sink. SUPERIOR QUALITY - advanced 304 stainless steel ensure long lasting durability. Home Basics paper towel holder. 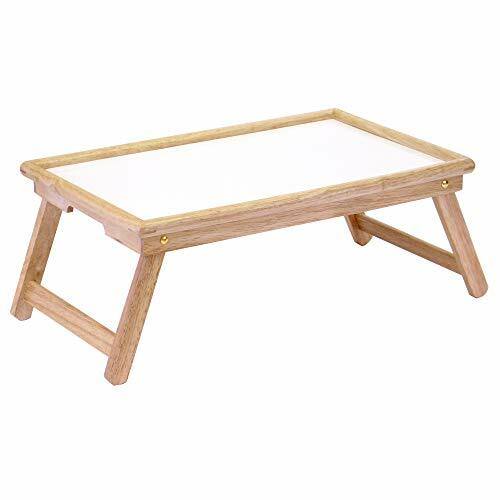 Perfect for any house/kitchen with it's modern, simple, and sleek design. Made from powder coated steel for durability. Stands at 6" x 12.5"
From bottles to pacifiers, Grass holds all your baby accessories as they air dry on the flexible blades that resemble real grass. Water drains into the lower tray, where it s completely contained. And it s got a sweet, natural presence, like a meadow full of baby deer. Only smaller. And without the deer. Low-profile drying rack looks great in any kitchen. Perfect for drying items of all shapes and sizes. Easily holds items upright for drying while excess water collects in bottom tray. Winter comes with a brushed satin finish. Two-piece, easy-to-clean design. BpA-free, Phthalate-free and PVC-free. 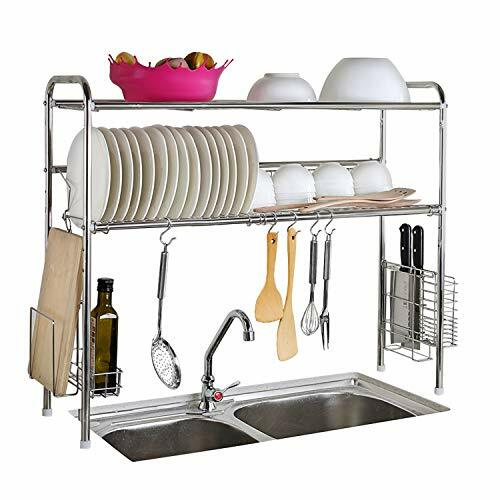 Stainless steel material, polishing and welding process, prevent from rusting.The dish rack with height adjustment, sturdy, durable and more effective to storage. Adjustable pads, removable hooks, special water pans for chopsticks, modern style dish drainer gives you interesting look to your kitchen. FULLY CUSTOMIZABLE- With 2 different style dish drainer boards, a microfiber mat, 3 separate cup holder attachments & a cutting board attachment that can be placed at your choosing. The top shelf of the unit can be flipped from side to side, moved from front to back, or taken off completely, totally up to you. Also comes with a wide utensil holder and a knife holder attachment which can have its top removed to hold sponges or more utensils. This PremiumRack dish rack comes with a beautiful stainless steel finish to create a bright, highly reflective, cool grey metallic look. 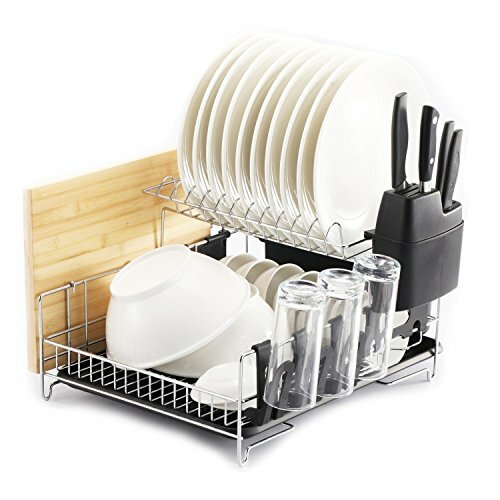 304 STAINLESS STEEL- This dish rack is made of a high quality 304 stainless steel. This high grade 304 stainless steel has excellent resistance to a wide range of atmospheric environments (coastal areas) and can withstand corrosion from most oxidizing acids. That durability makes 304 easy to sanitize, and therefore ideal for kitchen and food applications. This high grade stainless steel will prevent rust and will last through the roughest of conditions. Product passed a 24 hour salt test spray. 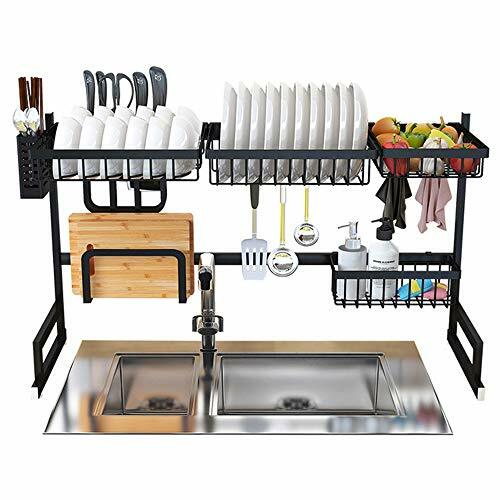 SIZE MATTERS- Perfection can come in all different shapes and sizes, including this bigger than average dish rack measuring @ 17.5 long x 13.9 wide x 11 tall.